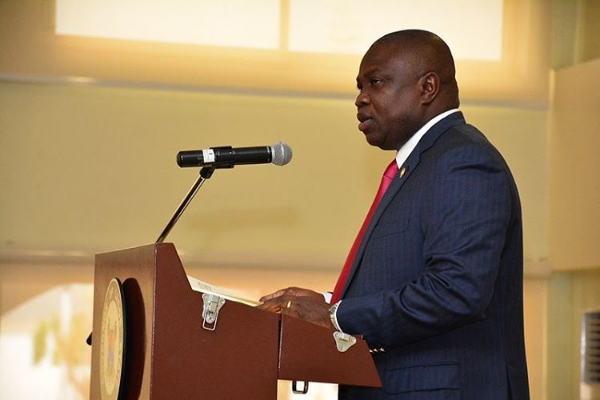 Lagos makes N103.476bn revenue in three months – Royal Times of Nigeria. The Lagos State Government on Tuesday said its internally generated revenue for the first quarter of 2018 was N103.476bn, as against N96.7bn recorded in 2017. It also added that the IGR was 81 per cent of the total revenue of N141bn generated in the quarter. The Commissioner for Economic Planning and Budget, Mr. Segun Banjo, stated this during the ministry’s press briefing to mark the third year in office of Governor Akinwunmi Ambode’s administration in Alausa, Ikeja, noted that the performance of the state’s 2018 budget of N1.046tn was heading in the right direction. Banjo in terms of total revenue generation said N141bn was generated as total revenue against N124.141bn achieved in 2017, adding that this year’s first quarter performance was N17.816bn higher than the previous year’s performance. He said, “The Lagos Internal Revenue Service generated N84.1bn in the first quarter, which accounted for 81 per cent of the total revenue generated. “The N84bn generated by LIRS excludes revenue from Land Use Charge; it is from strict application of taxes from Pay As You Earn (PAYE), withholding taxes, direct assessment and other taxes. Banjo said the government would sustain the budget performance in the second quarter, adding that the ultimate goal was to meet the target of a capital: recurrent expenditure ratio of 67:33 in the year.